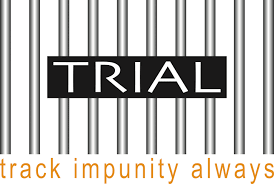 TRIAL, short for Track Impunity Always, does just that. 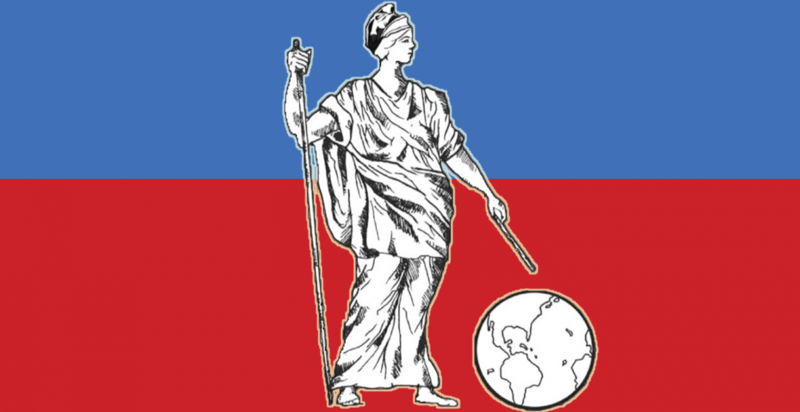 The Swiss organization was founded in 2002 as a way to track and watch international persons that have allegedly committed crimes such as genocide, crimes against humanity, war crimes, torture, and more. The association has consultative status before the United Nations Economic and Social Council and is an apolitical organization. After being inspired by the capture of Pinochet in 1998 and the subsequent establishment of the International Criminal Court (ICC) in 2002, the goals of TRIAL are to “put the law at the service of the victims of international crime.” TRIAL wants to fight impunity, defend the victims of international crimes, and raise awareness of the crimes and perpetrators to show the need for coherent and effective national and international justice systems. TRIAL regularly lobbies with Swiss and international authorities, as well as working with the Swiss Coalition for the International Criminal Court (CSCPI). The research includes ICC Legal Tools, a digital library, which gathers, analyzes, and classifies documents of the 46 countries on national legislation and practice in relation to crimes within the jurisdiction of the ICC. In collaboration with Pro Juventute, TRIAL is working on a video game project, showing the connection between video/computer games and international humanitarian law. The idea was created by TRIAL, but the study received an encouragement award at the 2007 International Human Rights Forum in Lucerne. Recently, TRIAL received the “Geneva grateful” medal (médaille “Genève reconnaissante”) on behalf of the Mayor of Geneva. If you can speak French, the link to the article is posted here. TRIAL is also a partner organization of the Center for International and Comparative Law (CICL), allowing CICL Student Fellows at the University of Baltimore School of Law to work on profiles as a part of the TRIAL Watch Project. Informing the public is one of TRIAL’s biggest goals and biggest projects, which is done through TRIAL Watch. Its website is a database compiled of profiles of perpetrators and instigators of international crimes. They also distribute a trilingual TRIAL Journal, printed three times a year. Each day, a summary of news in international criminal law and the fight against impunity in the world is placed on the website and sent to subscribers once a week. As a way to become more known, TRIAL Watch organizes public discussions, lectures, and film screenings as well as ‘actions’ on important days of the year such as International Justice Day (July 17) and International Day of the Missing (August 30). The profiles that are shown on the website of TRIAL Watch are drafted by volunteers and in up to four languages – English, French, Spanish, and German. The profiles include pertinent information such as the criminal’s name, aliases, status (indicted, sentenced, acquitted, etc. ), position, as well as what they have allegedly done. Below each brief set of facts and information is a detailed profile including specifics as to the crime and the person, including the facts, the legal procedure, and the context in which the crime occurred (such as the Sierra Leone civil war or Bangladeshi Liberation War, for example). The profiles also try to include photographs of the alleged criminal and their last known whereabouts. If possible, links to relevant documents are also included such as case documents, United Nations Security Council resolutions, books, judgments, and other related documents. This can help further research by anyone who wants more information on the person, the crime, or the case. It is also possible to be subscribed to a particular profile, in order to be informed if any updates are made on the profile. TRIAL Watch regularly updates all profiles if any new events, charges, indictments, sentencing, etc., occurs to an alleged criminal. As a Fellow of the CICL and assigned to the TRIAL Watch team, I draft articles of alleged international criminals such as Sladjan Cukaric and Miodrag Josipovic. I have also drafted an update for Maulana Abdus Subhan, as part of the initiative to keep all profiles as current as possible, to help those tracking criminals and their progress through their respective judicial systems, stay up to date on information. It can be hard work, there is not always a lot of available information on people or what little information there is often comes from foreign sources that must be translated and checked for accuracy. The impact TRIAL Watch has on citizens of nations all around the world is worth every second of the work. If you are interested in international criminal law or international humanitarian law, you can become a volunteer, donate, and become a TRIAL Watch member. You can also join the CICL Fellows program and work on the TRIAL Watch team! It’s absolutely possible to work on international law right here in Baltimore! The website itself, as a whole, can be translated into one of these four languages by a convenient button on the top right hand of the screen. Categories: international law | Tags: Center for International and Comparative Law, CICL, crimes against humanity, genocide, international criminal law, international criminal responsibility, torture, Track Impunity Always, TRIAL, TRIAL Watch, war crimes | Permalink.